To some, there’s nothing that epitomises the appeal of Provence more than the purple rows of lavender that pepper the landscape every summer. The lavender fields of Provence represent a change of seasons, a ripening of the earth, and a time where life slows to the mercy of the sun’s strong rays. The Provence lavender fields are among the best in the world, and they’re certainly the most famous. Come early summer, when the spring poppies have all but disappeared, bright lavender flowers start to transform the already beatific landscape into a patchwork of colour. In this comprehensive guide, I’ll introduce you to the best fields of lavender in Provence, France. When does lavender bloom in Provence? This is the question I (and I’m sure all other Provence locals) get asked a lot! And unfortunately, there’s no exact answer. The best time to see lavender in Provence is different depending on where you are in the region, but it also changes year to year. This year, for example, the Provence lavender season started later than usual because of the unusually wet spring we had. By late June most Lavender in Provence is in bloom. The fine lavender grown in the highest altitudes of Provence is the latest to bloom. Early July is the best time to visit lavender fields in Provence. The entire region is peppered with vibrant purple fields. And, if you get in before the school holidays (which normally start after the first week of July), you’re more likely to beat the crowds. From mid-July lavender fields start to be harvested. The upper Luberon lavender fields and the Château du Bois fine lavender are generally harvested around the 15th of July. 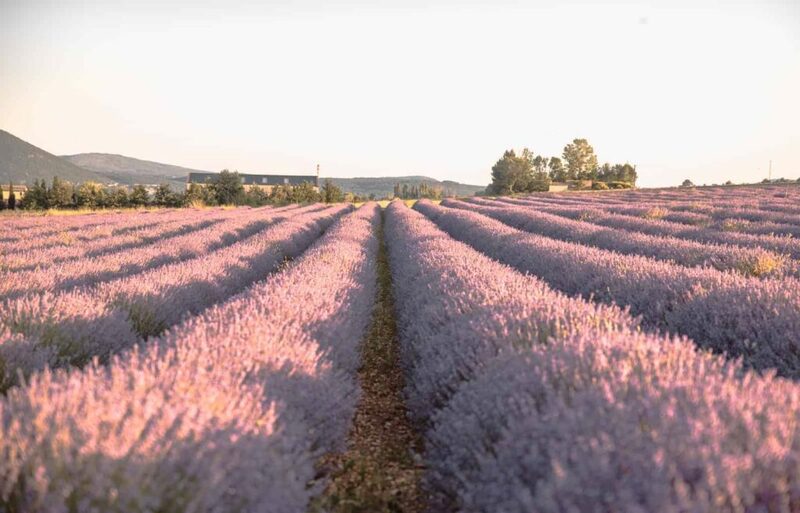 The lower Luberon (around Lourmarin), the Valensole lavender fields and those in Grasse and around Sisteron are harvested later in July, typically around the 25th of July. If you’re visiting Provence in August you may be worried about missing out on seeing the lavender fields at all, but there are still a few lavender fields in bloom in August. Aim for the Sault lavender fields or around Banon to find lavender in bloom until the 10th of August. Fragrant lavender fields can be found popping up everywhere in Provence in summer. It’s the most famous crop of the region and one that has held significant importance for the people of Provence for centuries. 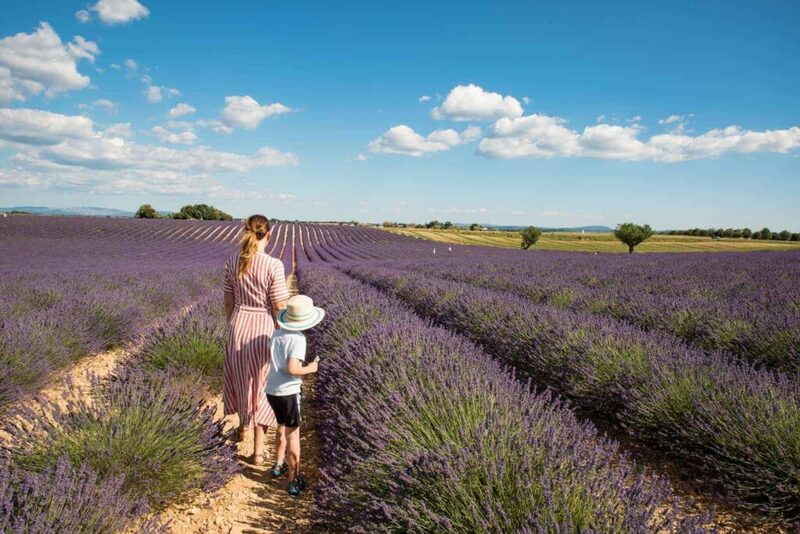 But the lavender fields of Provence aren’t just a source of pride for the locals; they’re also a key Provence attraction that draws in visitors from around the world, year after year. 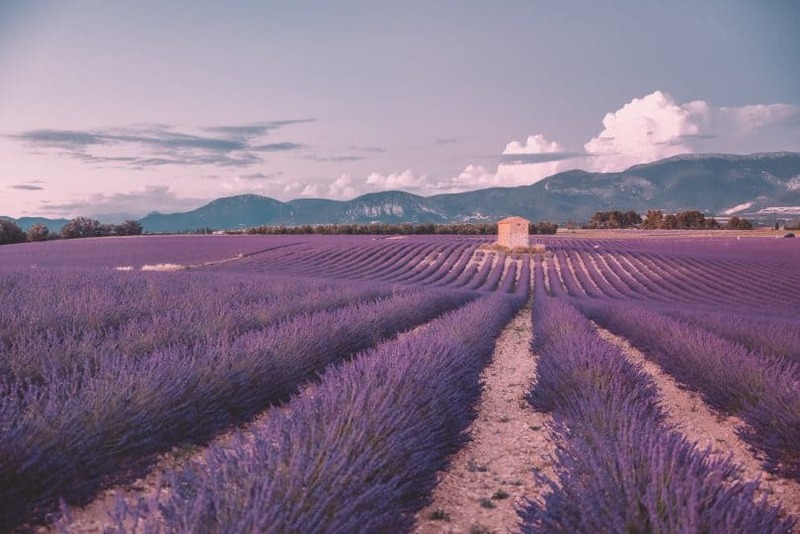 I’m going to introduce the best places to see lavender in Provence, focusing on three main areas: The Valensole Plateau, Sault Plateau, and the Luberon Valley. The below map illustrates where to see lavender fields in Provence. 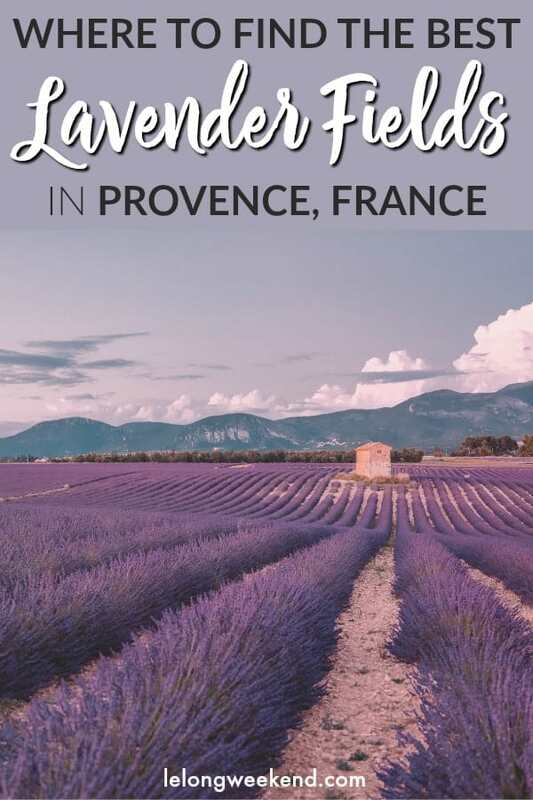 There are other areas, but these regions have the highest concentration of lavender farms in Provence, so you won’t waste your time traversing the landscape unnecessarily (unless you want to)! 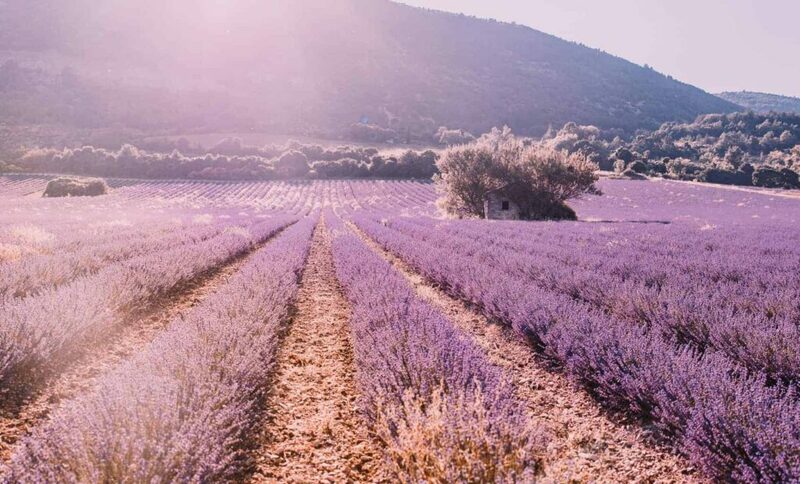 The Valensole Plateau is famous the world over for its lavender fields, but it’s also home to impressive historical sites, golden fields of wheat and sunflowers, charming Provençal villages, and deep turquoise lakes. Perhaps the most famous village in the Valensole Plateau is deservedly that of Valensole. This colourful village sits elevated above the plateau, with the 11th century St Blaise church at its helm. Pastel coloured houses crowd the narrow streets and the hidden gardens beckon you to discover their secrets. 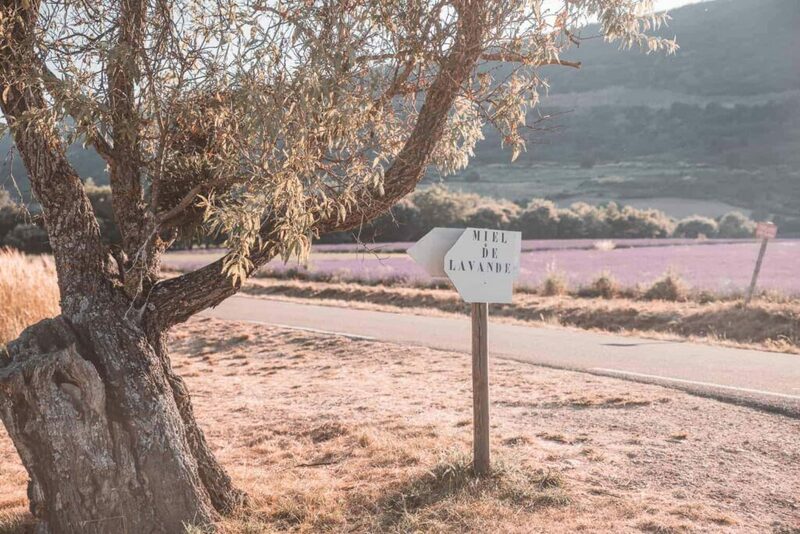 Take pause here on your tour of the lavender fields of Valensole to take a stroll, sample lavender-laced delicacies, or sit in a curbside cafe for lunch. At the other end of the Valensole Plateau lies Sainte-Croix-du-Verdon, a picturesque village hanging on the hillside overlooking the vast lac de Sainte-Croix. 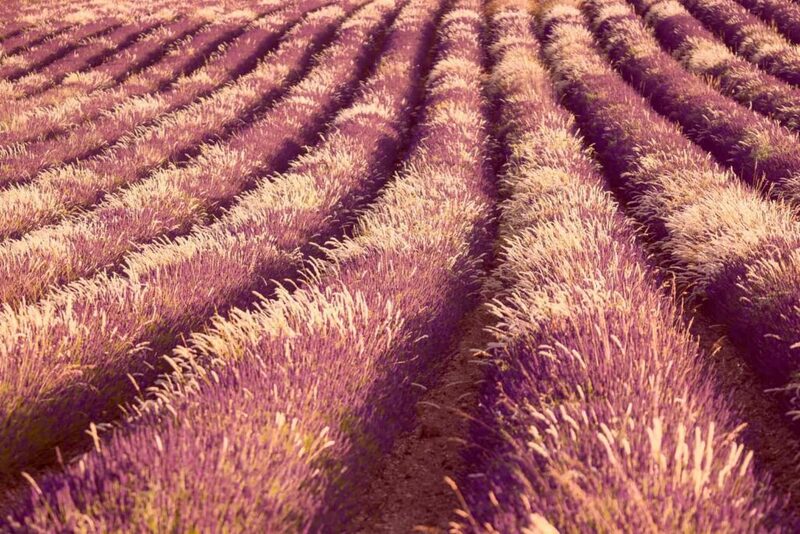 There’s no doubt that the Valensole Plateau creates the most popular Provence lavender route. Some of the most amazing lavender farms can be found here among the fields of golden wheat and full-faced sunflowers. And it’s the birthplace of many an iconic photo of Provence lavender. 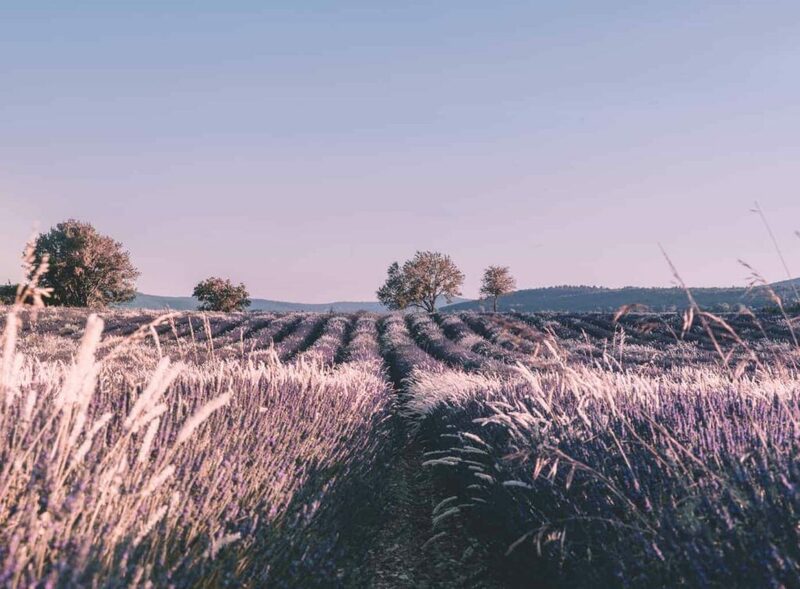 The landscape here is fairly flat but it has just the right amount of gently swelling soil to give the rigid rows of lavender some dimension, creating the swoon-worthy fields you’re no doubt longing for. To make the most of this photographic region of Provence, you’ll need a car to get around. You can hire one here. *To see each field number, click on the markers on the map above. This lavender field is bordered by sunflower fields, which just makes the experience even more magical. Park opposite the lavender field and take care crossing the road. Wander up the divide between sunflowers and lavender and you’ll find respite from the crowds, and another less frequented lavender field behind. This lavender field is a great place to photograph the contrasting colours of yellow and purple. 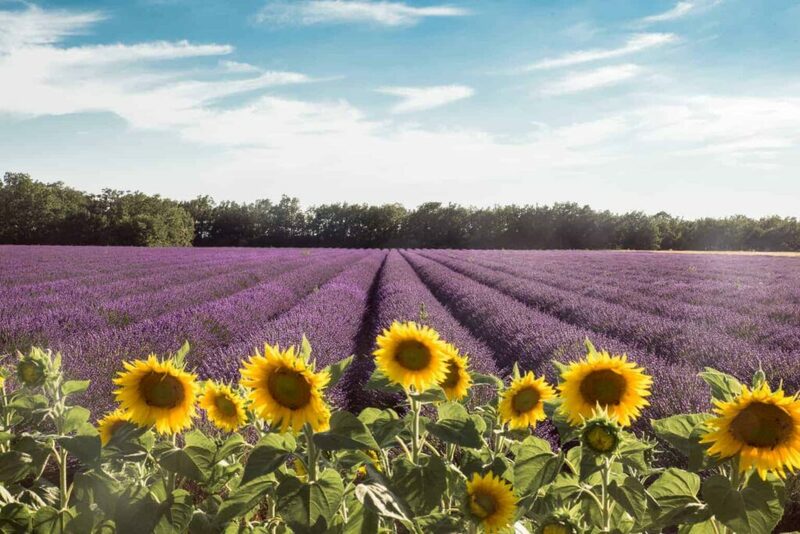 A short stroll past the sunflower fields will have you arriving at Lavandes Angelvin – home to some of the more famous Provence lavender fields. With seemingly endless rows of purple perfection, only interrupted by a few well-placed trees, it’s a spot that well deserves its reputation. This is one of my favourite Valensole lavender fields. With a gently swelling landscape (the hill becomes more pronounced on the eastern end), bright orange soil, and a rugged mountainous backdrop – its one not to miss! Between Riez and Sainte-Croix-du-Verdon, rows of lavender hide behind a canopy of trees. It’s a good place to escape the crowds and find solitude among the buds. Just before Sainte-Croix-du-Verdon, you’ll find another lavender farm framed by sunflowers. There are two main fields here. The first you’ll come to is situated right by the road, and a little further down you’ll find another set back off the road a little. It’s opposite a sign advertising lavender honey. On the way towards Puimisson, from Riez, you’ll find a remarkable lavender field (see the picture at the start of this post) with an amazing traditional stone house placed perfectly among the purple rows. For the best vantage point, drive up the small road to the left of the field. There are expansive lavender fields on the opposite side of the road to where I’ve placed this marker, however, what makes this lavender field special is a crumbling cottage set within the lavender. The fortified village of Sault sits on a ridge wedged between a thick wooded forest on one side and a rolling agricultural valley on the other. Well-preserved and brimming with history, it’s worth wandering through the medieval streets to sample the unique flair of this northern Provençal village. Be sure to pop into the nougat factory for a taste, and pick up a walking tour map from the local tourist office, which will guide you around the old town. 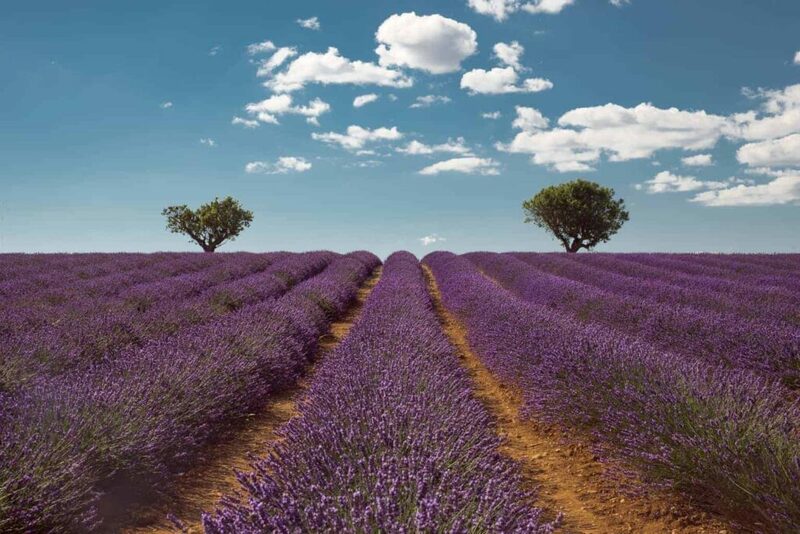 The road leading to Sault offers views over a plateau awash with lavender. It’s here that you realise the immense scale of lavender production in this region of Provence. More concentrated than in the Valensole Plateau, the lavender fields of Sault are best explored on a bike, or by foot. 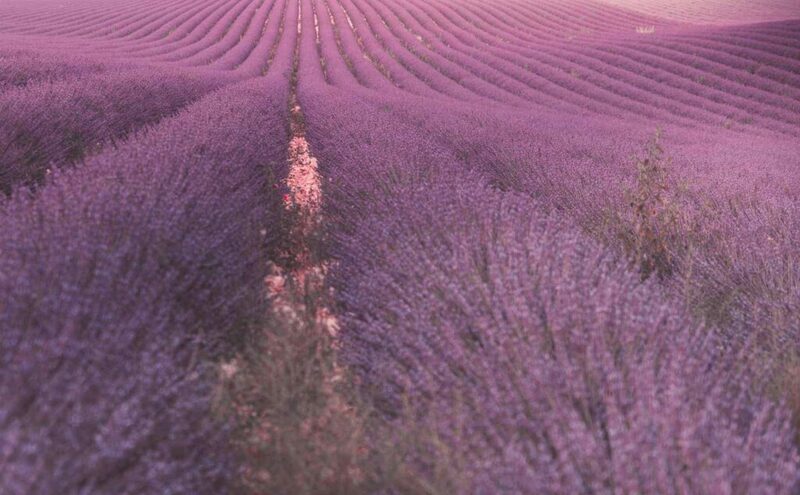 There’s a 5km “lavender path” that will lead you through some of the finest fields. To walk it, park at the public car park just after the Vallon distillery on D164. If exploring by bike or by car, follow the suggested lavender route below. This lavender field situated opposite La Bastide des Bourguets is absolute perfection! Bordered by a mountainous ridge and fields of fluffy golden wheat, it’s a delight to wander through. There’s even a small stone hut near the centre to add a little more interest. A petite field, it’s no less impressive as it perfectly frames the hillside village of Aurel. On one side of this marker, you have a beautiful large field with a little hut at one end. And on the other, there’s another gently swelling field with two well-placed trees at its highest point. Rolling fields on either side of this road. Perfect purple fields, as far as you can see. To find these fields, park on the road and wander up behind the field of trees. Here you’ll find a patchwork of lavender fields, some with old cottages tucked between the rows. The Luberon valley is my favourite area of Provence. A place where hilltop villages collide with dramatic scenery and history is ingrained in its soul. 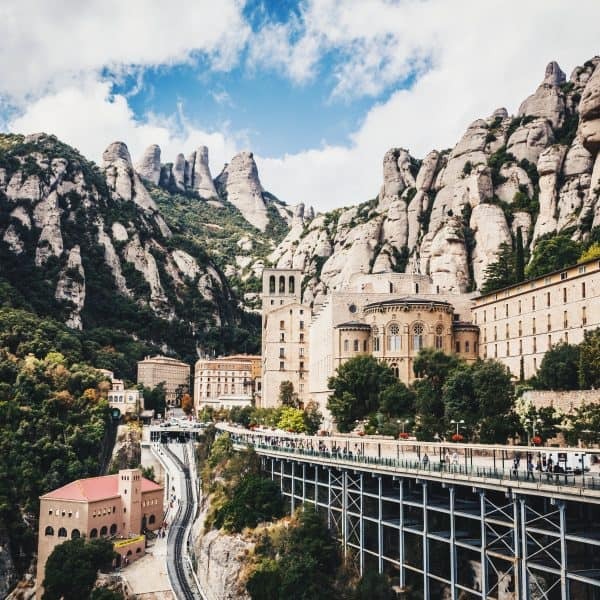 A place to go for a drive through whimsical roads, a walk through fragrant foliage, or to explore the cobbled lanes and advantageous views of its villages. The Luberon is an artist’s earthy toned palate. It’s where fiery red canyons slice through a dark green forest. Where serrated hills meet preened vineyards. And golden stones create both ancient conical houses and modern-day mansions. In essence, it’s the perfect place to get acquainted with the ‘real’ Provence. Lavender fields in the Luberon Valley aren’t as highly concentrated as those in the Valensole or Sault plateaus. But this means finding them is as easy as going for a Sunday drive. Winding through country lanes, you’re sure to find a field or two between the vineyards and olive groves. There are a few spots where you’re guaranteed to find Luberon lavender fields in bloom every year though, including some of the most iconic lavender fields in Provence! 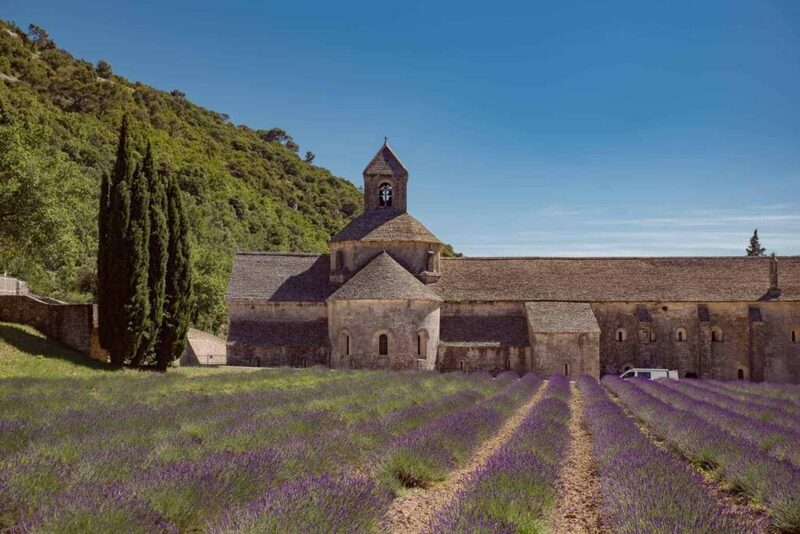 This monastery set into a wooded valley not far from Gordes is one of the best places to see Provence lavender. The unique backdrop of the stone abbey offsets the purple lavender beautifully. During the Sénanque Abbey lavender season, crowds descend on the Luberon to get a glimpse of this iconic scene. Combine it with a trip inside the Sénanque Abbey for a truly memorable trip. At the midway point between Gordes, Lacoste and Bonnieux, you’ll find a large cluster of lavender fields that are perfectly framed by the three villages. One in particular (where the marker is) is home to a beautiful large stone mas, which breaks up the purple perfectly. 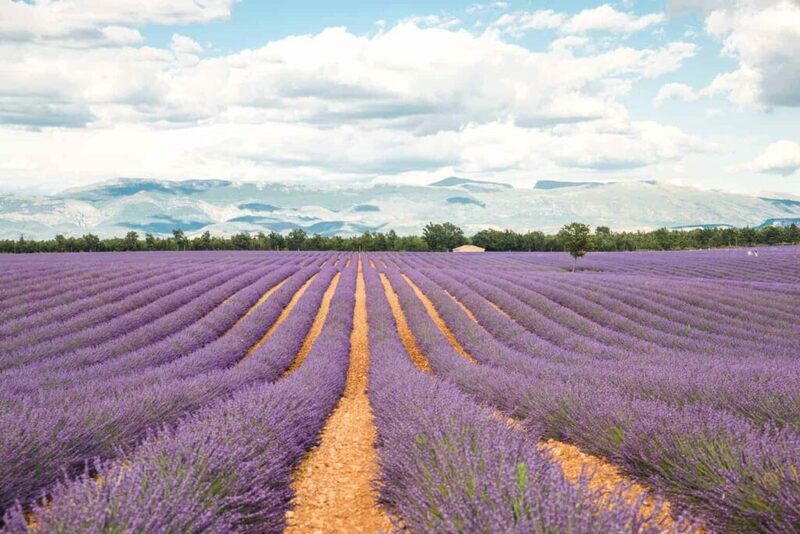 Between the pretty, petite village of Rustrel and the incredible landscapes of the Colorado Provençal, you’ll find lavender fields crisscrossing between the bucolic country lanes. 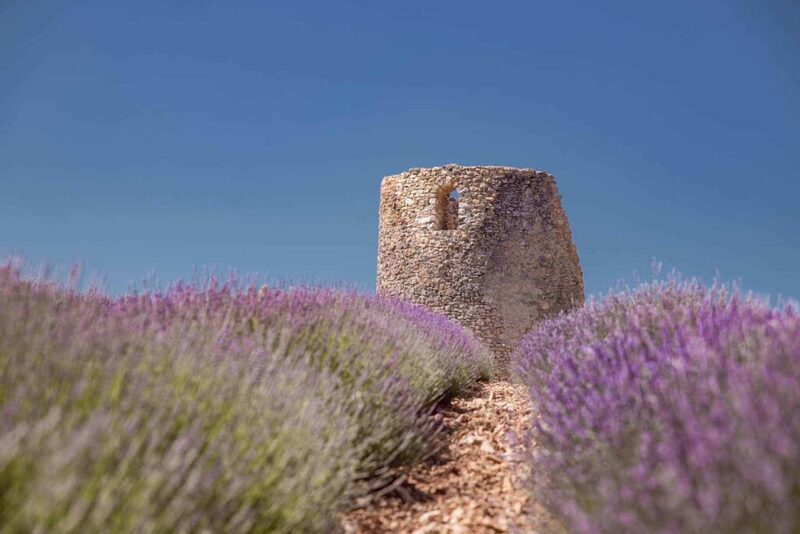 The Château du Bois lavender farm is located high in the Luberon, at 1100m above sea level, in a village called Lagarde-d’Apt. Growers of true lavender, it’s here you have a more delicate bud and a finer fragrance, than in the lower elevations of Provence. 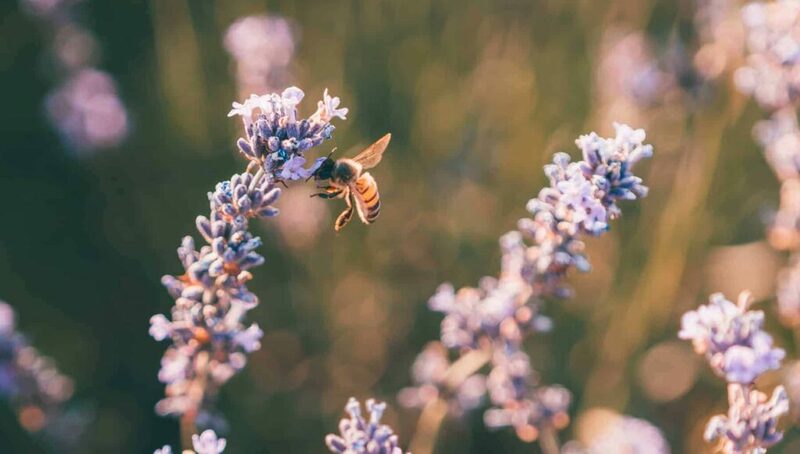 The Château du Bois lavender farm can only be visited by an organised private tour in early July – read more about the experience here. In order to make the most of your time in Provence, I’d recommend staying central to explore the other delights of the region. Here are some suggestions, or you can read my full guide to the best places to stay in Provence. Aix-en-Provence is a fabulous city full of culture, festive ambience, and Provençal charm. It’s an excellent place to stay to take day trips around Provence, and it’s not too much of a drive to all three lavender regions detailed above. Alternatively, you can take a lavender tour from Aix-en-Provence. Avignon is a city brimming with history and old-world grandeur. 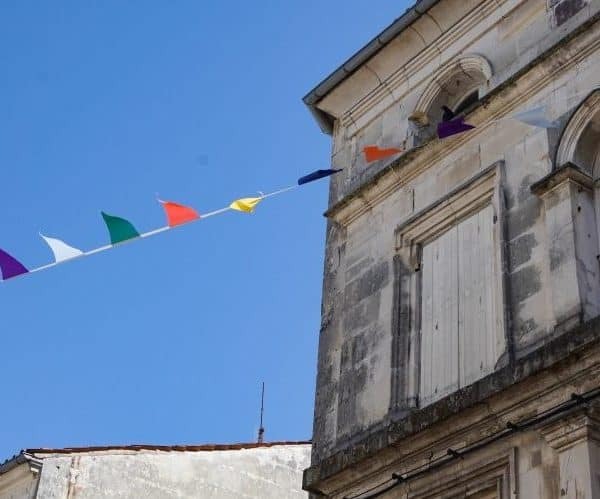 Like Aix, there are many day trips from Avignon that will round up your perfect holiday in Provence. Avignon is closer to the Sault and Luberon lavender fields, but it’s still possible to drive or take a tour to the Valensole lavender fields. If you want to be knee deep in French village living, head for the Luberon Valley. Take your pick of charming hilltop villages to stay in and enjoy driving the country lanes lined with lavender fields. 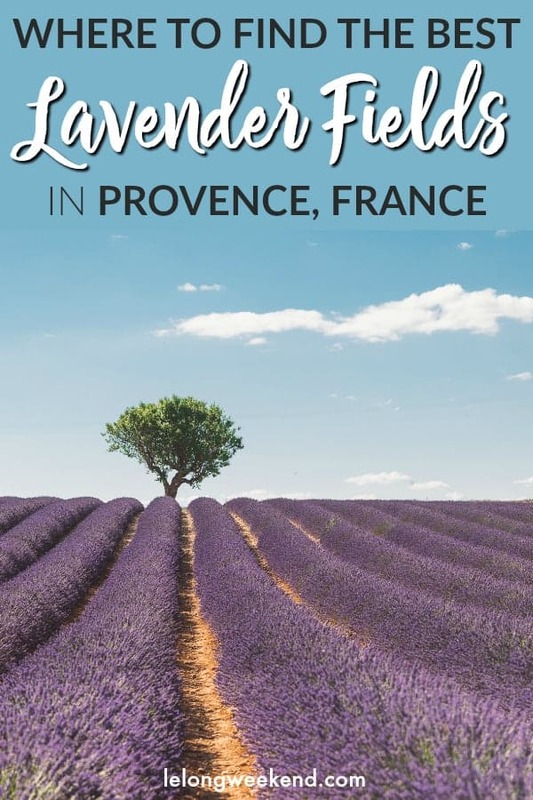 If you don’t have a car to explore the lavender farms of Provence on your own, it’s entirely possible to visit some of the finest fields with a half or full day lavender tour. See some options below, or click on the links to find the perfect lavender tour to suit you! Visiting the Provence lavender fields is an incredible event that will leave you spellbound. 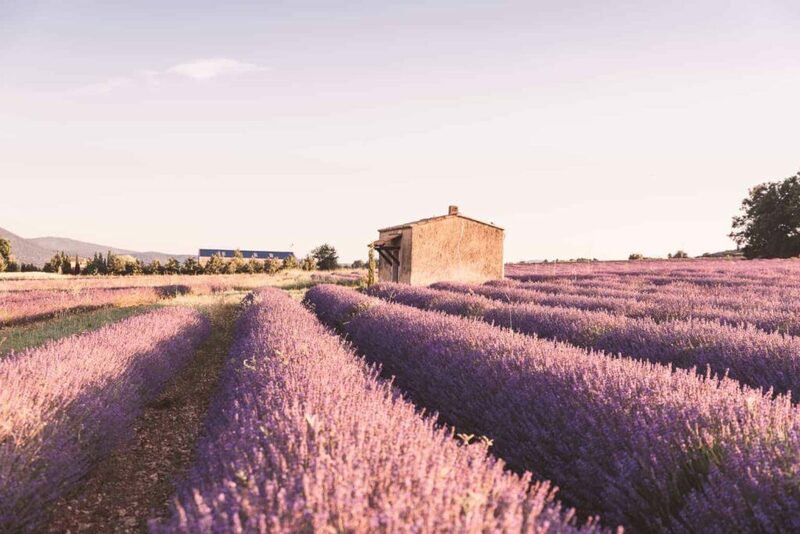 Whichever of these lavender routes in Provence you decide to take, or indeed if you experience them all, you are sure to have an unforgettable time in Provence. Life in France Update. Where is Home? All of your photos are so incredibly gorgeous! Is there any lucky in finding lavender early June? Wow! What a fantastic article and beautiful photos! What a great guide you’ve laid out for us with amazing pictures. I’m headed there this summer and would love to use your suggestions. The maps of each of the numbered fields isn’t showing up. Is there any way you could email them to me? Thank you so much for your expertise. Hi Lisa, sure no problem, I’ll email you the link directly to Google Maps. Hope you have a wonderful time! Sent now, sorry for the delay! Thanks for this article ! I will be heading there in late June. Are there accommodations that are like in the middle of the fields or something like an agri-tourism accommodation (like in Tuscany). Great guide! I will include your article in my reference. Hi! What a great overview of lavender in Provence. We’re going to be driving from Barcelona to Paris in early June and hoping to make a few stops along the way. I know the fields might not be fully blooming then, but which ones are likely to start first? Hoping we’ll be able to catch some early bloomers. Thanks!! Thank you. Your detailed, informative site was extremely helpful to me. We will have a limited time in France (we are going to Fête des Vignerons in Vevey) so we will try our luck with the later lavender near Sault. Have a great time Priscilla! Hi Tina, I think it’s absolutely doable from one base. 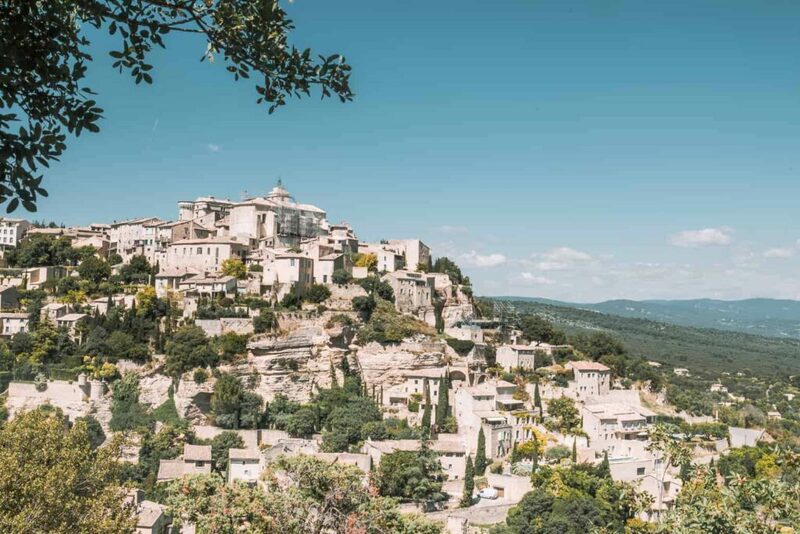 For example, you could stay around Apt in the Luberon which is only 30-40 mins from Sault, an hour from Valensole, and not far from some of the most beautiful villages around. Dear Nadine, Thanks for your lovely guide! Trully happy to have found your page. I’m planning a 4-5 days break with my family in Provence and was searching for reliable information about the Lavender fields. The richness of your descriptions and the wiliness to share the locations and your valuable tips are inspiring! 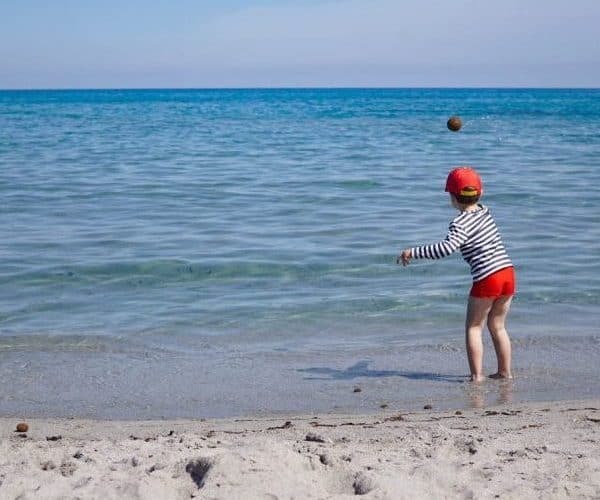 Since I have a 14 months little daughter I will choose some central location to stay and allow me to explore all field areas within a day trip (driving). Btw for baby friendly place do you have any recommendation? Appreciate all your care! Hi Bruno! You’re welcome 🙂 If you’re wanting to explore all areas (Valensole, Sault & the Luberon) then I’d recommend staying around Apt or its surrounds. I don’t have experience staying there with a baby, but this place looks like it will be well equipped and comfortable for a family stay. Have a great time! Hi Nadine, after reading your wonderful guide, I now want to try to fit Provence into my Europe trip. My tentative itinerary is to go to Paris from Amsterdam by train on June 22, then fly to Venice on June 28. Do you think it is possible to modify my itinerary to add in June 26 Paris to Nice, then June 28 Nice to Venice (assuming Nice is the closet airport to Provence)? I know it is pushing it, but I would love to spend the full day of June 27 making memories with family in the Provence lavender and sunflower fields. Are we in the right time to visit the fields? Do you think it is doable? Is flying to Nice and renting a car our best option? Thank you so much. Hi John, you could visit for just two days – I think it’d still be worthwhile. If you can, fly into Marseille as it’s a bit closer. And yes, the lavender should look lovely then. It’s at its best early July, but late June should be lovely also (depends on the Spring weather also). Thank you so much for your thorough guide Nadine!! I had started researching for our trip in January, took a break from all the headspinning info, and am so fortunate you have posted such a comprehensive guide now before we visit in mid-July. We are only going to be in Provence for a couple days (my four kids and my partner). I noticed that you mentioned to stay in Apt, but do you have any recommendations where to stay for a prime Lavender fields location, as well as pre-Bastille Day happenings? thank you so much in advance for your advice. if you prefer, feel free to email me. can’t wait to visit some of these spots on your list! Hi Natalie, if you’re only going to be in the area for two days, I’d recommend focusing on one area – two at a push. Between the Valensole/Luberon/Sault Areas. Valensole may be harvested in mid-July (I think the lavender festival is 21st July this year). But it’s hard to know in advance. Sault would be a safer bet. This B&B is right among the lavender fields in Sault. Have an amazing time!